Devoted to the 85th anniversary of the cinema director Andrey Tarkovsky, the first exhibition entirely dedicated to his director’s debut on theatre stage – performance «Hamlet» at the Leninsky Komsomol Theatre /premiere – 8 February 1977/ – is open at the Theatre Salon on Tverskoy Boulevard. 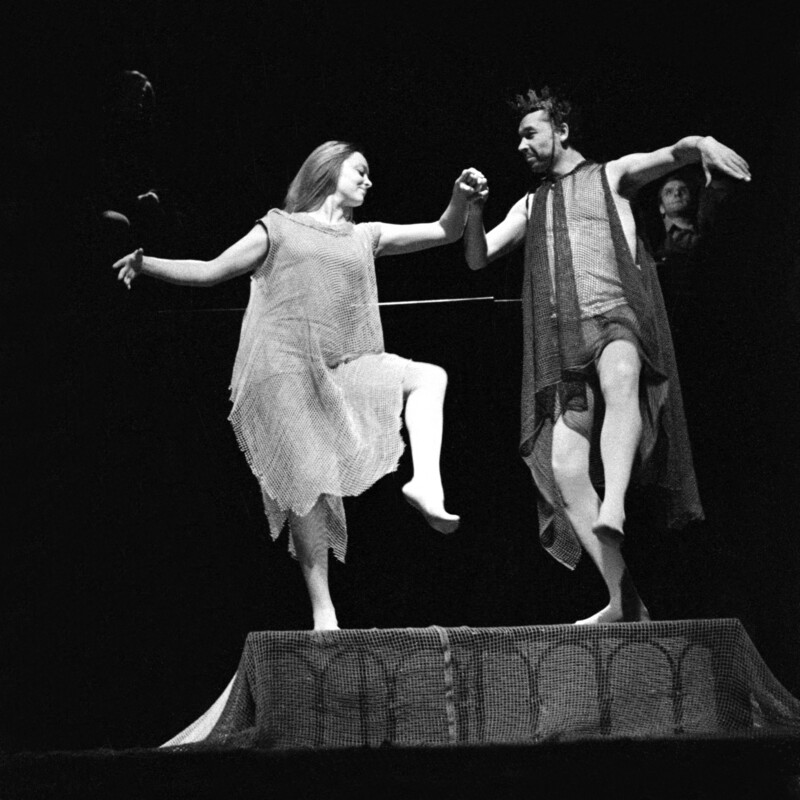 This «Hamlet» was ambiguously met by critics and audience, became a source of disputes and attracted interest that turned into agiotage. Long lines of people wanting to buy a ticket – and spectators leaving the performance. Some people sincerely admired it – other people could not accept it. The performance was provocative, it went against the usual for Mark Zakharov’s audience aesthetics of the Lenkom Theatre and was soon removed from the repertoire. Was this innovative production a failure of the genius or just in advance of his time? «Hamlet-Solonitsyn was accused to be «sluggish, very trivial, not a fighter». Critics were horrified that the monologue «To be or not to be?» was pronounced by Hamlet «lying on his side, on the dais». A critic of 1977 believed that such a relaxed character could not be «capable of fighting a dislocated age»» /A. Smelyansky. How Will We Resurrect? // Review of the Theatrical Season 1986-1987/. The display reflects the history of the appearance of Andrey Tarkovsky in the Lenkom Theatre, talks about the rehearsals of the play, the Tarkovsky’s polemics with the directors G. Kozintsev and Y. Lyubimov in his stage version of «Hamlet». According to newspaper clippings, memoirists’ reviews, programmes, photos of rehearsals and a director’s version of the play, everyone can imagine what that performance was like and independently answer the question: was it a failure or a breakthrough? Exhibition curator – Yuliya Anokhina, Candidate of Philological Sciences, researcher of the art of the director Andrey Tarkovsky and the actress Margarita Terekhova.